The next mega-shopping and leisure complex in Dubai (and potentially still the world’s biggest in the future) is moving home. Plans to build Mall of the World in Mohammed Bin Rashid City have changed direction and landed on Sheikh Mohammad bin Zayed Road. 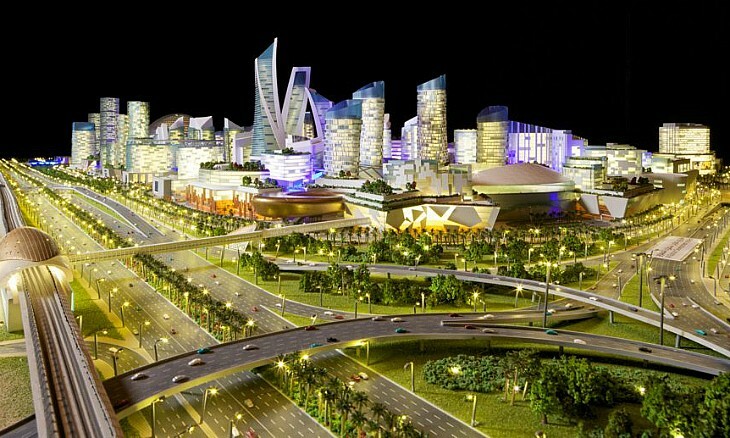 “Dubai Holding is committed to developing Mall of the World, a major retail and leisure destination in the region, and believes that the new location on Sheikh Mohammad bin Zayed Road, will be an outstanding home for the project,” Ahmad Bin Byat, vice chairman and managing director of Dubai Holding, was quoted as saying by Arabian Business. “The main reason for the change is that it will allow the ambitious project to develop and grow gradually, as in January 2016 it was announced that Mall of the World would be split into three adjacent malls built at different times,” Mall of the World’s chief operating officer Morgan Parker told Bloomberg. The original Mall of the World project includes eight million square feet (745,000 square metre) of shopping space connected to a theme park, as well as 100 hotels and serviced apartment buildings with 20,000 rooms. It isn’t clear yet whether the project will be downsized. The first phase – representing about a quarter of the project’s size – is scheduled to be completed by the time Dubai hosts Expo2020.